Chicken breasts has had a reputation for being dry and boring but it is one of the most common lean protein available. 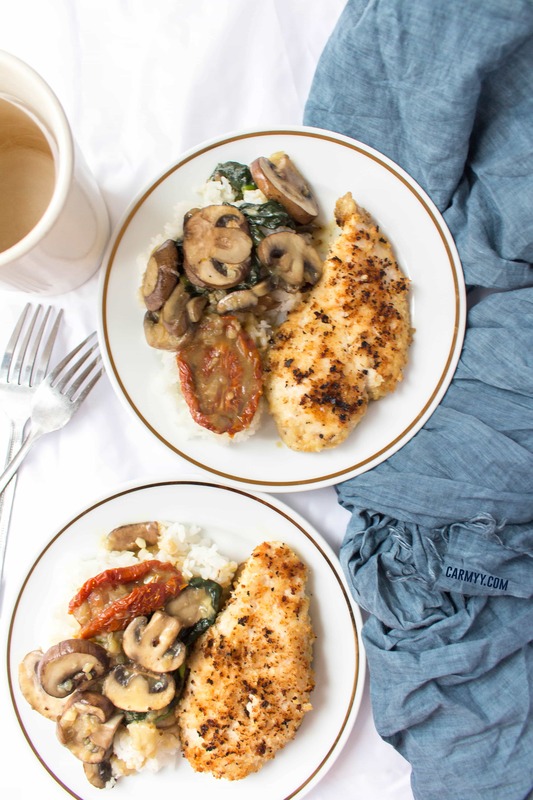 There are so many variations on cooking chicken breast that it doesn’t have to be dry or boring! With this post, you’ll cook chicken breasts perfectly every time! Why Is My Chicken Dry? So I’m in a few meal prep groups on Facebook and chicken tends to be a protein that gets brought up a lot. A lot of beginners use as their base and while chicken breast is so easy make, it can also be easy to mess up. I’ve seen recipes where the chicken breasts was just plain boiled! One of the main reason as to why chicken breasts come out dry is that they’re over cooked. To prevent that, you can purchase an instant read thermometer to check that the internal temperature of the chicken is at least 165°F in the thickest part of the meat. So what’s the secret? One of the best ways to make your chicken breasts more flavourful is by using a marinade! I’ve written about why you need to marinade chicken if you’ve got the time in my Easy Freezer Friendly Chicken Marinade post but essentially, to marinade something means soaking it. Marinating something essentially turns whatever you’re marinating into a flavour bomb. Marinating your chicken breasts adds flavour, seals in moisture, and tenderizes the meat! You should let the chicken breasts marinade for at least 30 minutes so that the flavour fully penetrates the skin – if you’re able to marinade your chicken breasts overnight, even better! An alternative to a marinade (if you don’t have time), you can always use a spice rub! With a spice rub, make sure you include salt and pepper. It’s best to grill or cook your chicken breasts in a cast iron if you’re using a spice rub and once again, your chicken should be ready when the internal temperature hits 165°F in the thickest part of the meat. Be sure to let the chicken rest for at least 5 minutes before cutting into it afterwards. Flip it once and don’t touch again! This is actually similar to the dry poaching but I prefer cooking my chicken breasts this way if it’s going to be a sauce heavy recipe. Using the packet for a saucy chicken bake is also great for if you’re doing a sheet pan meal and don’t want the saucy and the sides (like the veggies) mixing. This method is also great if you want to make different individual packets at the same time as you can place 1 chicken breast with your veggies of choice in each individual packet and bake them all at once. 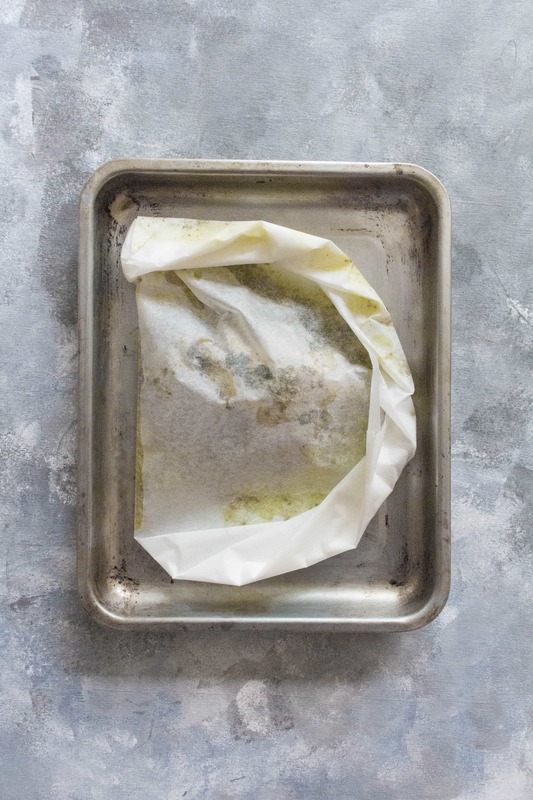 Fold a large piece of parchment paper in half and place the chicken (and vegs if you’d like) on one half. Fold the parchment in half and then fold the sides to seal it. See the image below for an example of how to fold it. Click over to this post on how to cook chicken breasts in an air fryer. Before I get your hopes up, I’ve only ever done this in an Instant Pot and can only speak about cooking frozen chicken breasts in an Instant Pot. Place your frozen chicken breast (up to 4) into the Instant Pot and add 1 cup of water (or broth) and pressure cook for 8-9 minutes and then Quick Release when done. 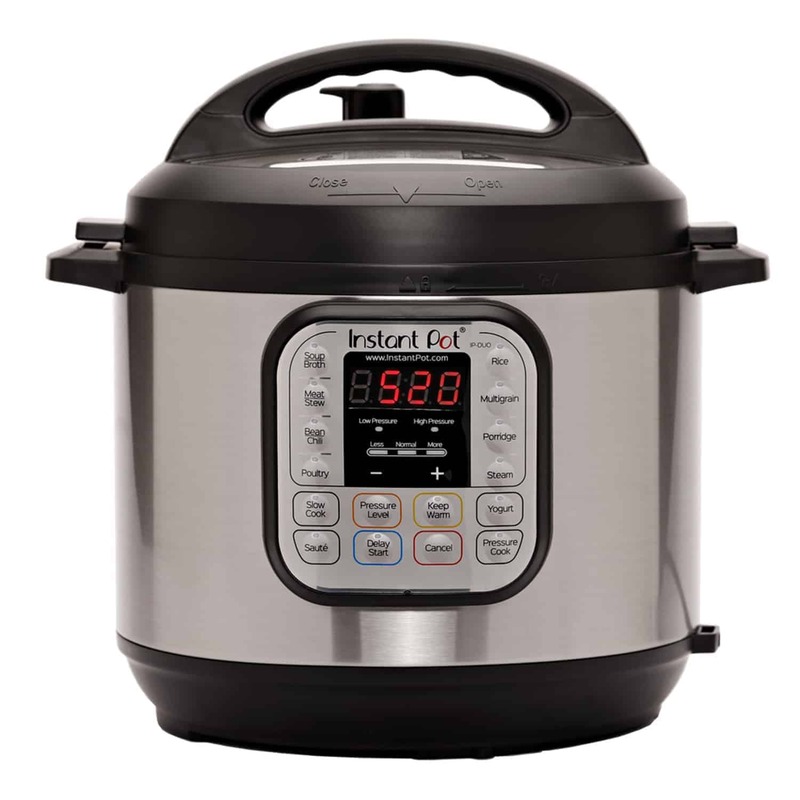 For more info on the Instant Pot, check out my What is an Instant Pot FAQ here! If you’ve over cooked your chicken breasts, introduce some moisture to the meat to save it. The easiest way to do that is with a sauce! To lessen cook time, you can pound out the chicken (or slice them in half into cutlets) so that they’re thinner. This also evens out the breasts which makes chicken breasts easier to cook through without the thinner portions of the meat overcooking first. BUT chicken breasts that are pounded out too thin will be more likely to drying out/easier to overcook. Got leftover chicken? Try this delicious and easy spicy chicken wrap for lunch the next day! Let’s Chat! How do you cook your chicken breasts? Do you have any tips you’d like to share? Want to try making a whole chicken in an Instant Pot? 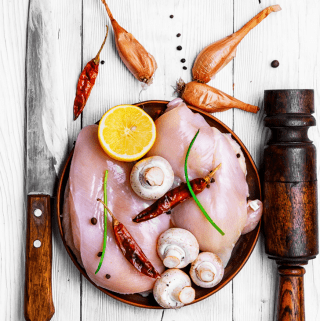 Chicken breasts has had a reputation for being dry and boring but it is one of the most common lean protein available. There are so many variations on cooking chicken breast that it doesn't have to be dry or boring! With this post, you'll cook chicken breasts perfectly every time! 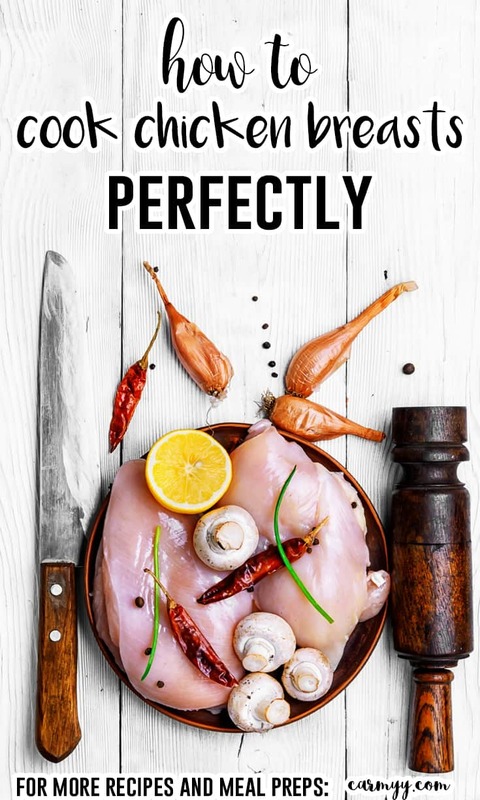 Priceless tips on cooking chicken — and I’d never heard about placing parchment on a chicken breast to keep it moist before. That’s brilliant. I made some pan roasted chicken breasts (with skin) yesterday and you’re right — when you put the chicken in the pan (skin side down) it’s best just to leave it alone for several minutes — the chicken releases from the pan when it’s ready — not when you are (LOL). I’ve never tried to cook frozen chicken breasts before, but it sounds like the Instant Pot would be ideal for that. Great ideas! 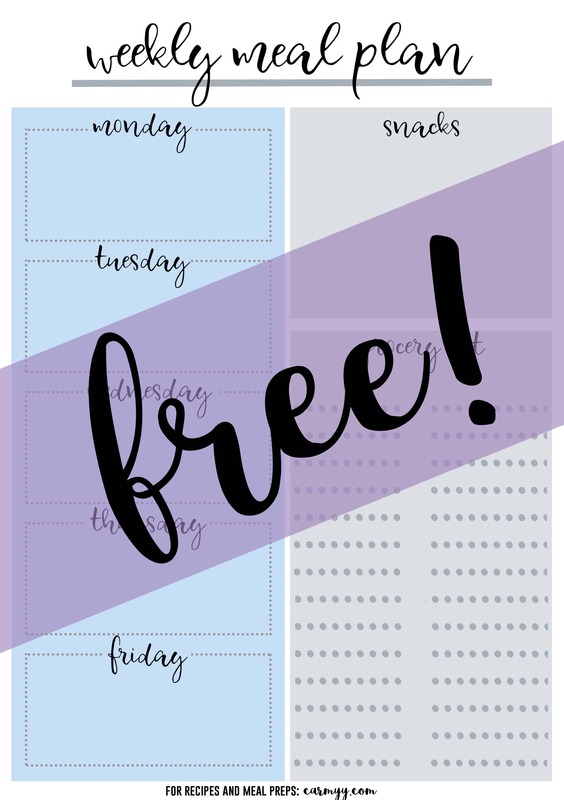 Oh my gosh- this is so helpful!!! I started eating chicken again recently, and I have ZERO idea how to cook it. This will definitely help me! Well this post certainly answers the problem of “dry chicken”. So many people have this issue, when as you can see….chicken breasts can be cooked…and still be juicy. This would be great any night of the week in our house. Wow, so many good suggestions! I love your point about not touching the chicken on the pan as if you can’t easily flip it, it shouldn’t be flipped just yet. Also, that dry poaching method is so unique! I’ve never heard of it but now I am eager to try it out! I always have so much trouble with chicken. It seems to dry out too much, and I feel better with all these suggestions. I can’t wait to implement the next time I tackle chicken! Thanks for the great inspiration. You certainly have found the solution to dry chicken and your tips are great. People have a tendency to overcook the poor breast until it is as dry as a bone. It ends up being more rubber than meat. We eat lots of chicken throughout the week and your tips and techniques results in a tasty piece of chicken. Carmy! I love these tips. First of all, hi. I grew up on overcooked chicken. I stayed away from chicken breasts for a long, long time once I was on my own because I was convinced I didn’t like them. I guess the 80s and 90s saw a lot of fearmongering around solmonella and foodborned illness, because a lot of people I know experienced the same. All of our mother’s were overcooking chicken. (Enter: mounds and mounds of BBQ sauce for dipping!) I have a meat thermometer and use it religiously when cooking any meat, since I’m such a sucker for a perfect tender cook. (I mean, who isn’t.) Sometimes my chicken is so juicy and tender, that I grow paranoid about it being undercooked because I grew up so used to dry chicken. Ha. I really need to try this chicken in parchment. I do that with fish a lot, but I’ve never tried it with chicken. I’m excited to! Seriously, this is such a fantastic post – one of the questions I get from friends most often is if I have any chicken breast cooking tips. I usually use the dry poach method with olive oil and herbs and it’s fail-safe. I will have to forward this on to my friends! What a fantastic tutorial, Carmy! We make chicken often, but usually get stuck in a rut of a single preparation style. I’m really interested to try your dry poaching method in the oven! The chicken must come so tender and juicy. Perfect for chicken salad!